A brand is a product or service identified by a person's or company's name. In corporate America, we are surrounded by brands every single day. Consider Nike's globally known swoosh symbol or the classic golden arches of McDonald's logo. These are worldwide brands that are instantly recognizable anywhere across the globe. These brands are effective, as consumers are able to identify the good or service instantaneously. While your brand may not be a product or service that is marketed to the whole world, your agenda is the same: to create a brand that consumers instantly recognize. Branding is a craft and is one that takes time. There are so many important factors to consider when creating your brand image, such as being consistent, defining your brand attributes, personalizing your brand, and being purposeful in your advertisements. Crafting your brand doesn't unfold overnight. It's a process that takes a bit of trial and error to find the pieces that do and don't fit. Consistent font types, color schemes, messaging, and consistency across all social media channels is crucial in developing your brand. Do you know what else plays a critical role? Writing. Writing is key to amplifying your brand, as it's the foundation of your advertising. The language we use in ads, the ways in which we phrase verbiage, and word choice are very important factors in developing marketing materials. With writing being so essential, it's evident you need to tailor writing to the needs of your brand. Developing a mission statement or tagline. Your good or service will need to have a mission statement of your company or a tagline for your brand. 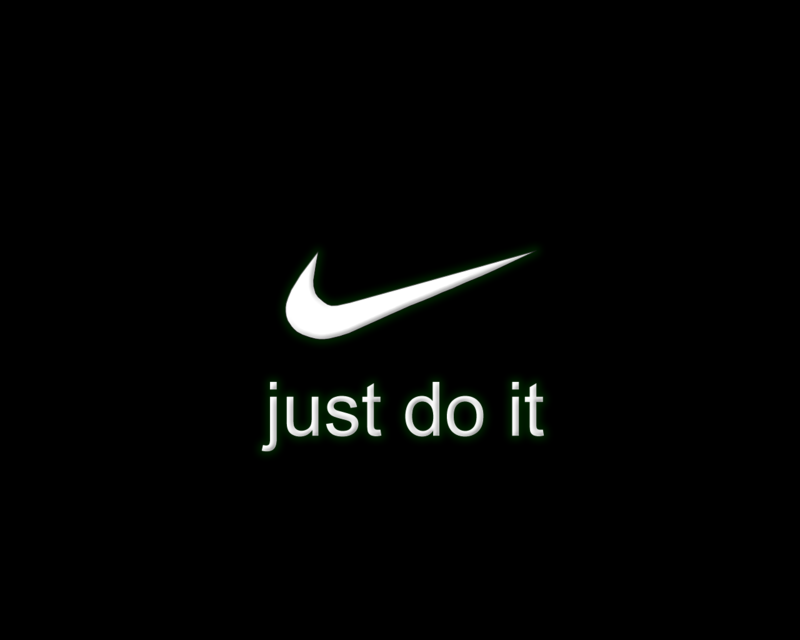 Going back to the Nike example from earlier, their tagline is "just do it". For the sake of creating a successful brand, you'll need to do the same. Write a tagline or mission statement that captures your goals in a short, professional, and simple manner. You want to pick your word choice carefully to create a string of words that flow and sound like a call to action. Creating a website. Developing a virtual home for your product or service is a first step for many businesses and entrepreneurs. Your goal is to sell a product, like a book, artwork, or music, or a service like graphic design or consulting. Your website should be the home for your contact information, biography, services, and links for purchasing. Your website will likely be filled with text and graphics. The text should be purposeful. Use your writing to professionally fill out the text fields of your website's template in a cohesive, strategic manner. Your biography. Your "about me" section of your website, Facebook page, or any other social media channel should reflect who you are. Your biography is the most read page on your website, thus it must be written well with professional verbiage. Use basic writing skills like first person narrative and a conversational style. Your bio should emphasize your passions, objectives, and/or some type of call to action that highlights what you want your consumers to get out of your page (e.g. product or service). Marketing materials. Using writing to create marketing materials goes together effortlessly. You'll want to cover your marketing materials with your brand by using consistent font types, colors, and your chosen tagline or mission statement. Pens, business cards, flyers, postcards, and other marketing memorabilia should have a consistent look and style. Your tagline or mission statement should be clearly reflected for that brand awareness. Email. Email is a fantastic tool to engage with your customers. Create a professional email address, such as Gmail or domain email (e.g. yourname@gmail.com or yourname@XYZcompany.com). Emailing clients and customers from your professional email address will continue to sell your brand and increase your ethos or credibility. Similarly, email is a great marketing tool because you can take advantage of the email signature feature. The email signature gives you the ability to include your tagline, social media links, and/or your chosen font/colors to reinstate your brand. Take advantage of this free feature. It goes a long way! While utilizing your writing to amplify your brand may seem like a given, it's a technique some businesses and entrepreneurs overlook. The importance of having a solid writing foundation cannot be overstated. Your language is communicated to the world and you want to be certain it's professional, free of grammatical errors, and reflects your business in the most respectful way. Be mindful of the words you use, the verbiage you choose, and your overall phrasing. A simple misspelling or punctuation mark in the wrong spot has the power to completely change the way your tagline or mission statement is read. Remember to write the way you want others to read your biography, objective, and tagline. Check and recheck to be certain this is the brand you want to amplify. Following these simple tips should help you successfully advertise in no time!